Fold tables and benches are strong and stylish, providing a simple surface with maximum clearance for chairs and legs to fit under. 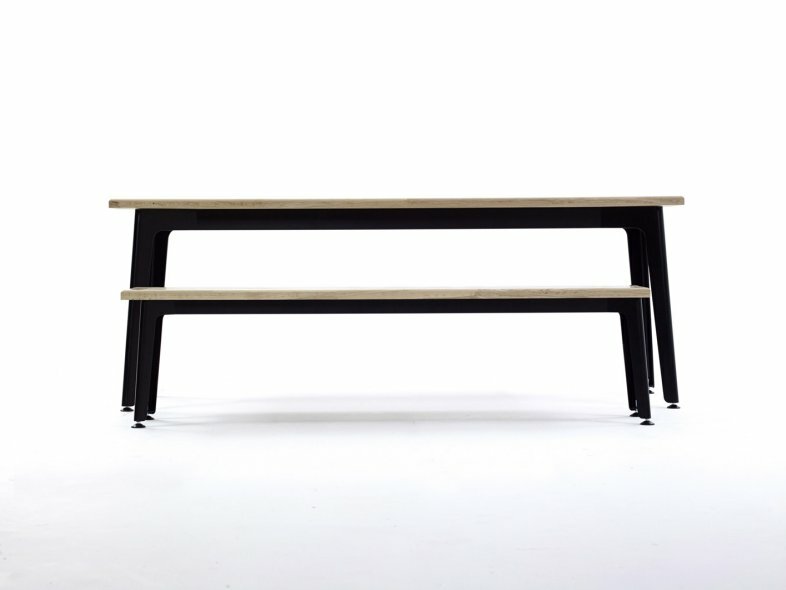 Handmade from mild steel the frame is carefully proportioned and beautifully finished to create a minimalist product that is compatible with any style chair or can be used as a bench and table set making it suitable for any environment. 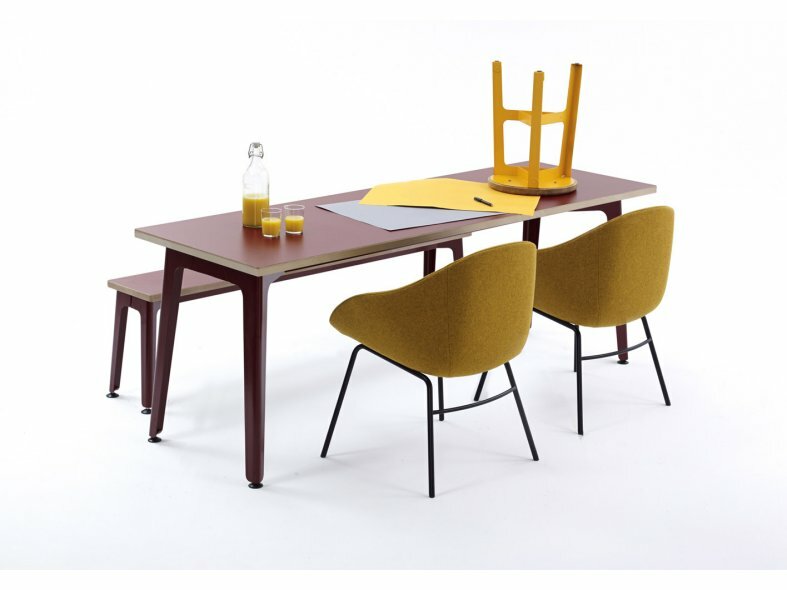 The Fold table is highly adaptable with a varied range of matching laminate top and frame colours, making it suitable for use as a dinging table, meeting table or as a table and bench set. 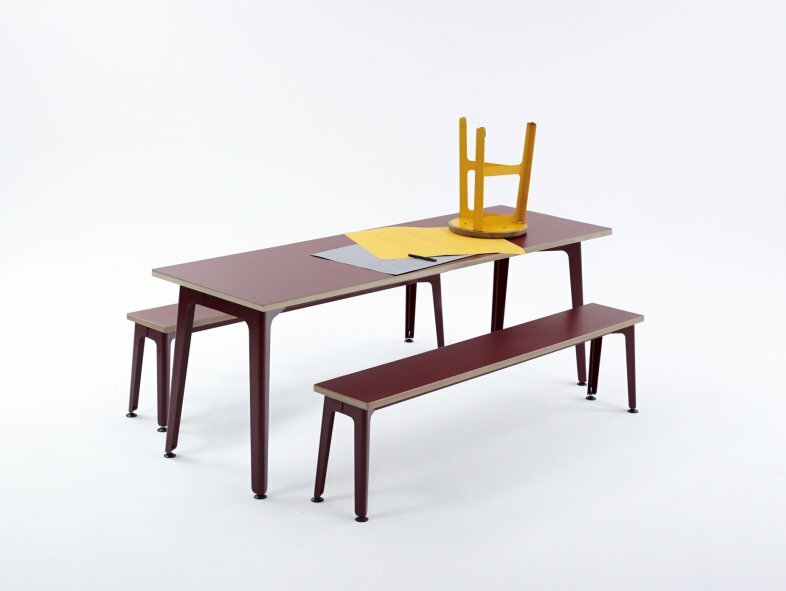 Fold has an adjustable height tilt and glide feet to further enhance its "use anywhere" character. The mild steel single piece frame has a surface finish of hard wearing polyester powder coat, and the various table top options all have their own unique characteristics and can be fully tailored for any client requirements.